It’s a hair loss treatment which can be replaced for conditioner and is aimed for different hair needs. Made with unique natural products, it can be found in 4 varieties. For nourishing colored hair-sunflower extracts. I have been using the “Dry & damaged” one for 3 months. It can be found in any super shop and quite affordable. “LOLANE”, notably and successively renowned for more than 20 years, is the expert in manufacturing a full range of hair care products in order to exactly meet needs and satisfaction of customers who are in pursuit of new fashion all the time. So I did some research (aka internet browsing) for customer reviews of this product and found quite positive discussions. The 1st thing you are going to notice about the product is the smell. I like hair products with a clean refreshing smell. This hair treatment’s was not too prominent not too mild- the perfect one. 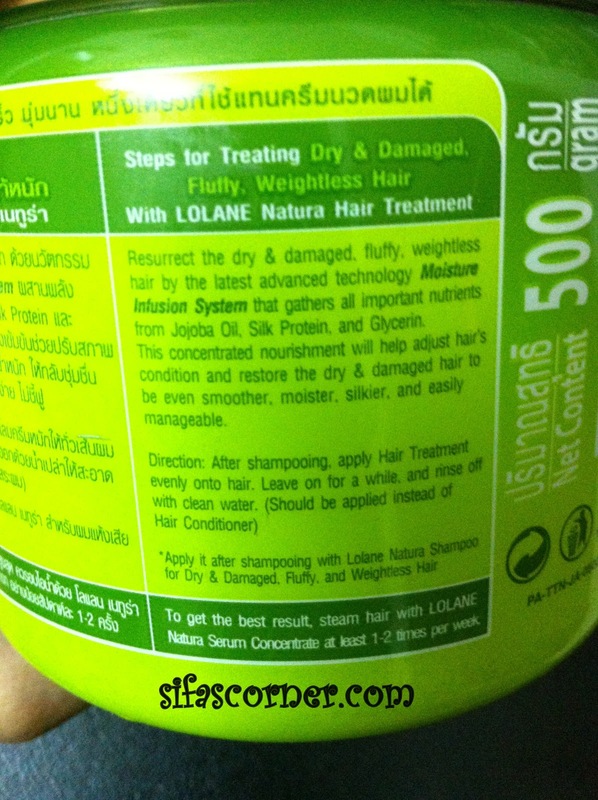 The formula is thicker than the normal conditioners…but it’s non dripping. My hair is generally frizzy and coarse. 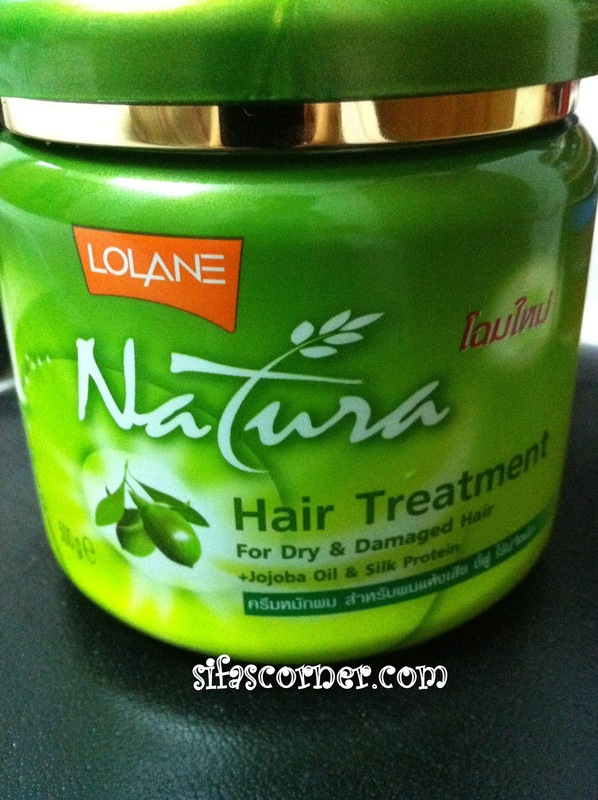 After using this treatment as a conditioner, my hair felt soft and manageable. Check out the hair story here. I assumed that due to the thicker formula, the treatment will make my hair limp ..but no. I avoided the scalp area and applied it from the mid to end portion of the hair. After rinsing the hair with cold water, it was bouncy and without any frizz! This product is also great as a deep conditioner. If your hair thick, coarse and frizzy then this hair treatment will be helpful for you. I am already on my 2nd bottle and yes I will repurchase it. I am glad that it worked so well for you! What was your oil-conditioner ratio and your hair texture? ami olive oil + conditioner use koreci bt amr hair kmon jeno chitchite hoye gese……..
ok ……pls post as early as possible. you & beauty addiction is my icon. i follow both of you . 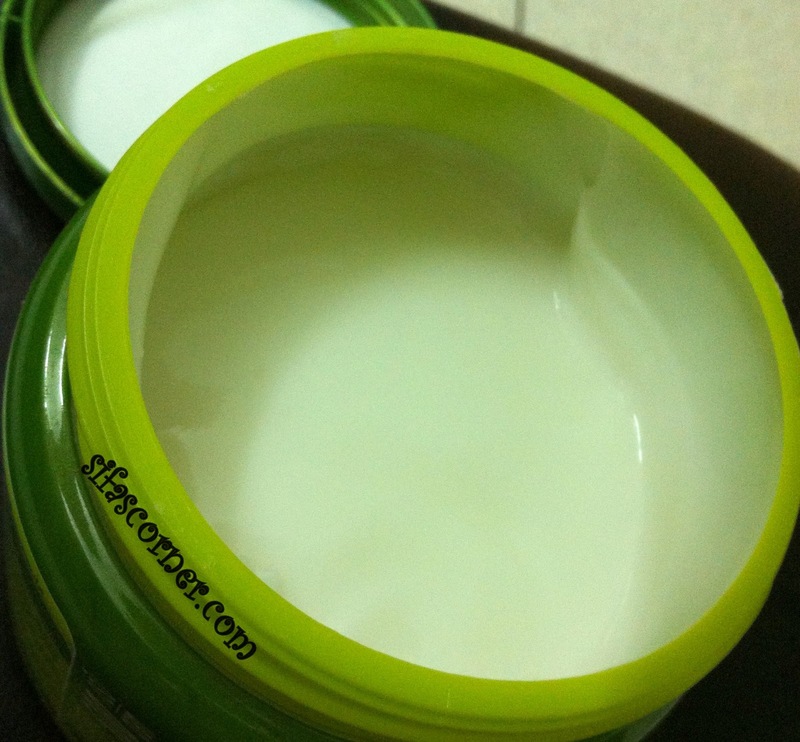 my some problem such as oily skin , acne problem , rebounding, curly hair etc like ur . so ur post very much helpful for me. onek onek thankssssssssss. Yey! Glad that my review was helpful for you! I am using it for almost a year…on and off. I apply a special trick when it is winter time though…and it works like a charm for my curly hair. I will soon post about it. 🙂 May be my trick will help you too. hi apu ……….. watching ur post , i Bought it. it is really helpful for me . thank you so much …….